In her time spent working for social services, Margaret Williams, the founder of North Wales Superkids, was occasionally able to link into another children's organisation who owned a static caravan, and if all their costs had been covered for the year, they would offer her the odd week or weekend free for families in dire need of a holiday. Seeing the benefits of this on family life, and the difference it made to the families involved, we were overjoyed when in approximately 2010, the group offered the caravan which had now been upgraded to one adapted for disabled use, and wheelchair friendly throughout. Logistically it was getting more difficult for them to continue their group and this allowed them to pass the caravan on to us. We jumped at the opportunity, and now with funding from BBC Children in Need, we give 16 families, who are identified as being in crisis, a free holiday. The criteria for the holiday is that the family must be in a bad place and there must be recognisable expected outcomes if a holiday is awarded. Afterwards it has to be shown that the outcome has happened and that there are visible signs to show this. Every year, there are so many sad reasons why a family might need this time away, and the difference that the break can make a huge difference to the future life of the children of the families. 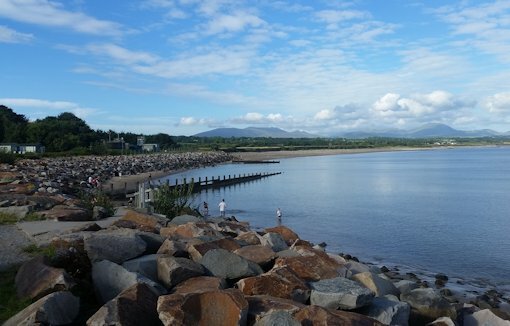 Our caravan is based in Hafan y Mor Pwllheli, an amazing place where children can take part in a variety of new activities, experience things never been available to them before, or just enjoy the tranquillity of the area plus the beach, where they can do " silly but fun things " such as crabbing, making sand castles, collect shells and running their energy off. We are pleased to announce we have finally been fortunate enough to find the funds to be able to purchase a brand new caravan, again completely adapted for disabled visitors. We are looking forward to be able to help families in need make some wonderful memories in the future.